drivingandlife: HYUNDAI i30 N - IS IT IN THE GOLF GAME? 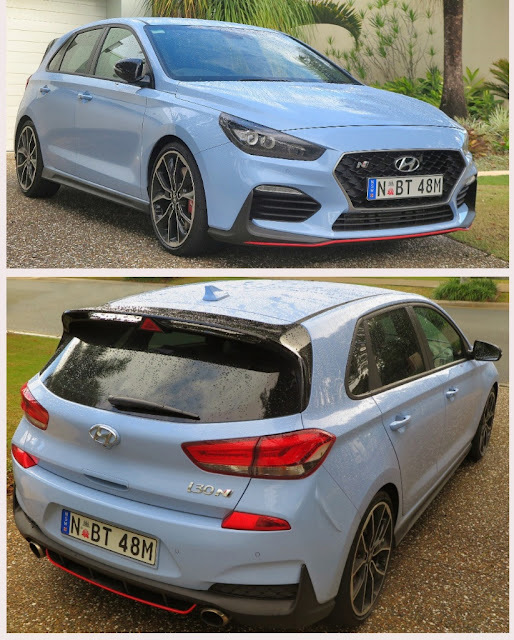 Let’s start off with: “The i30N is THE business! 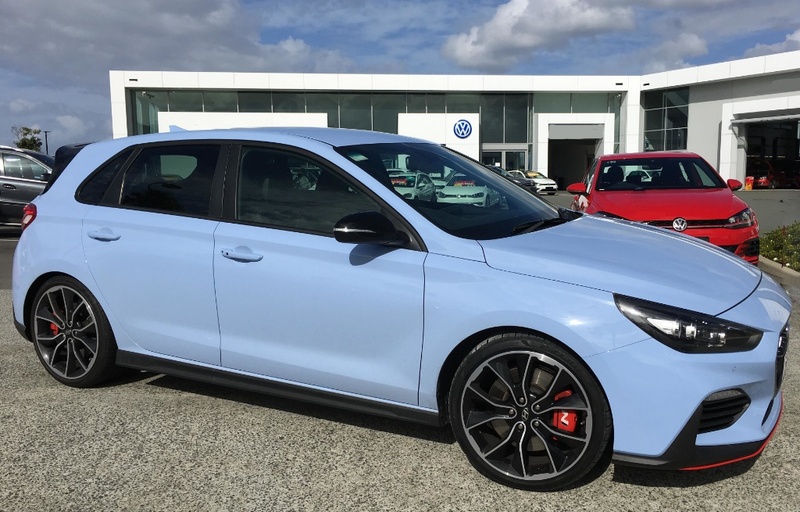 It's the bee's knees.” Yes, it is a Golf GTi chaser, and coming in AUD$8K cheaper than a Golf GTi, you should test drive it and compare both cars. Now, we’ll cut to the chase – side by side the German bests the Korean, but not in ‘feel’ and performance. The German-built 5-door may be more expensive, but the most important thing you notice when you sit in the Volkswagen is that the Golf is a premium-priced car, with a premium finish. 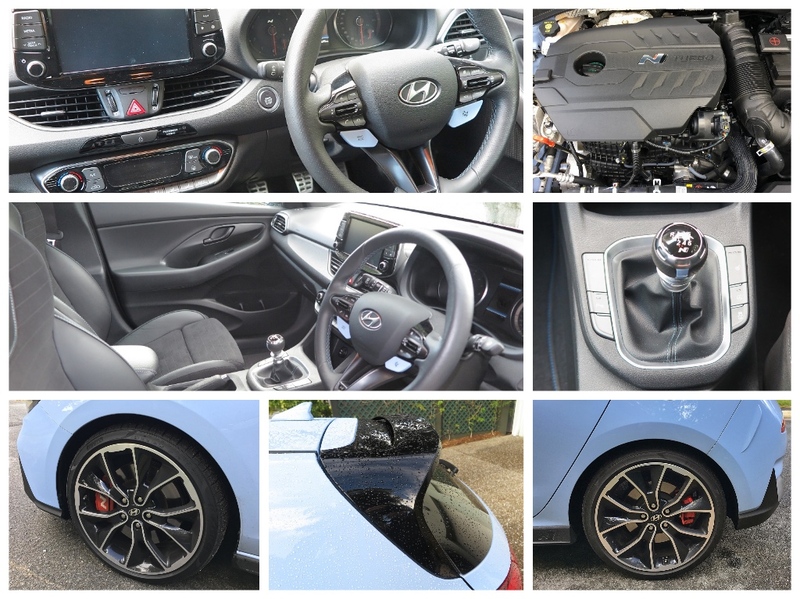 The Hyundai i30N is a stylish hot hatch, however it’s my opinion that the interior that does not make you feel special. 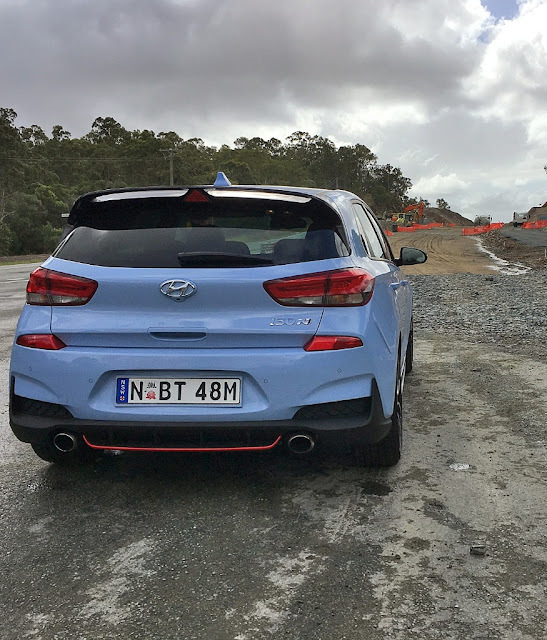 Okay, everything you add, to make the i30 more special, begins to eat into that $8K advantage – but in this segment, it’s not all about performance. 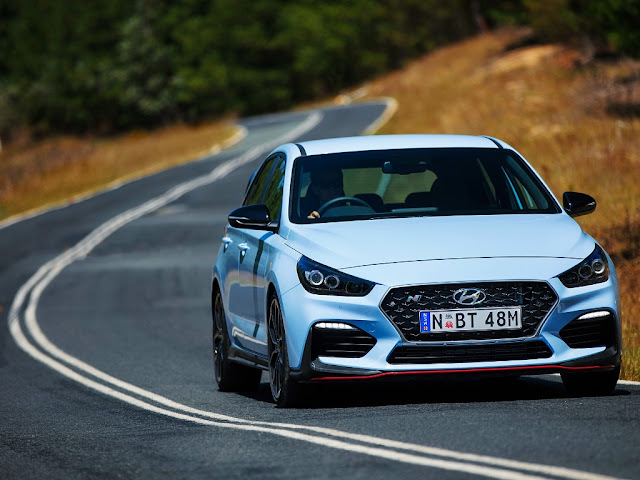 Make no mistake, Hyundai has produced a genuine Golf competitor, and named it after its Korean test centre at Namyang, and the work it does at its Nurburgring test centre – so that’s where the ‘N’ comes from. The i30N is an extremely competent performance car, and in fact it’s a performance car I could live with every day, except for the self-shifter. Having said that, the gearbox is a 'shifter's delight' - it's slick, positive and the movement beautifully precise. The compliance in the suspension at low speeds is very good, and the grip it reveals at high speed is phenomenal – partly due to the Pirelli P Zero’s – but also down to the Hyundai engineering team in Australia, which was ‘allowed’ to massage the suspension for our crappy, multi-variety, road surfaces. The local team even included the Mount Panorama circuit in the ‘localising’ schedule. One must not under-estimate the value of the work done on the basic package by the Australian engineering team. They are expert at refining and recalibrating the Korean ride and handling settings. In fact, I’d say if you took the plunge and parked one in your driveway, new roads would open up for you! Behind the wheel it’s obvious you get every piece of the latest tech Hyundai has been able to cram into the package, including ‘N’ mode! Just the suggestion of ‘N’ mode made me feel uneasy – as if I wasn’t competent to get the most out of this car. On a fast 250km test drive, the car was unquestionably smooth, and a delight to drive. Long sweepers were fun, but when you get into the really twisty bits, it’s even more enjoyable, thanks to grip and stability. The steering response is impeccable. However, in Regular mode, as you change down and pull out to overtake, when you floor the accelerator your progress may be quick, but the torque steer is massive and you need to keep your wits about you, guiding this fishtailing missile back onto the correct side of the road. Just on that basis alone, this is not a car for me. I’m perfectly satisfied with the Hyundai i30 SR, which is potent, but persuasively more civilized. And I would gladly swap the 6-speed manual for an auto with paddles. Although, after this test drive, I reckon the i30N would make an ideal car for track days. It's certainly got both the performance and the handling credentials. I must say from an interior perspective it’s obvious to me that Hyundai has saved a few bucks here and there to keep the price down. The interior plastics (when you compare it to a VW Golf) are unattractive; the seats are nothing special (after 250km I had a sore bum), but it’s going to be reliable and the build quality is rock-solid. So really the final choice is down to two items: Are you a badge snob, prepared to pay a premium price for a premium European, OR, do you just want the performance, with pretty much all the bells and whistles, comparable handling response, and save AUD$8000? Both Golf GTi and Hyundai i30N deliver what you pay for, and that’s what's important. For a reliable (sorry VW Golf is out) daily driver, which manual gearshift is better between Civic Type R and i30N?